Tasting Room: Wed.-Thu. 4-10 p.m., Fri. 4-11 p.m., Sat. 11 a.m.-11 p.m., Sun. 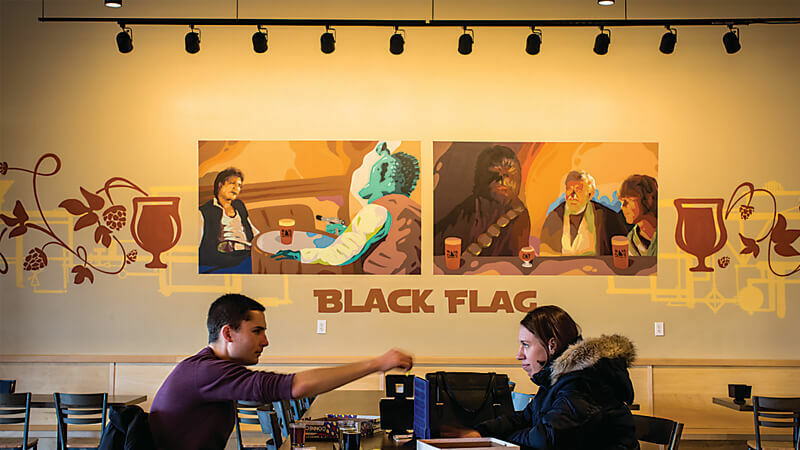 11 a.m.-6 p.m.
Staffers pour beers and Guests play games inside Black Flag Brewing co.’s Taproom in Columbia, which Boasts a beer-themed star Wars mural and descriptive menus. Tasting Room: Mon.-Thu. 11 a.m.-11 p.m., Fri.-Sat. 11-2 a.m., Sun. 11 a.m.-9 p.m.
Tasting Room: Wed.-Fri. 3-9 p.m., Sat. 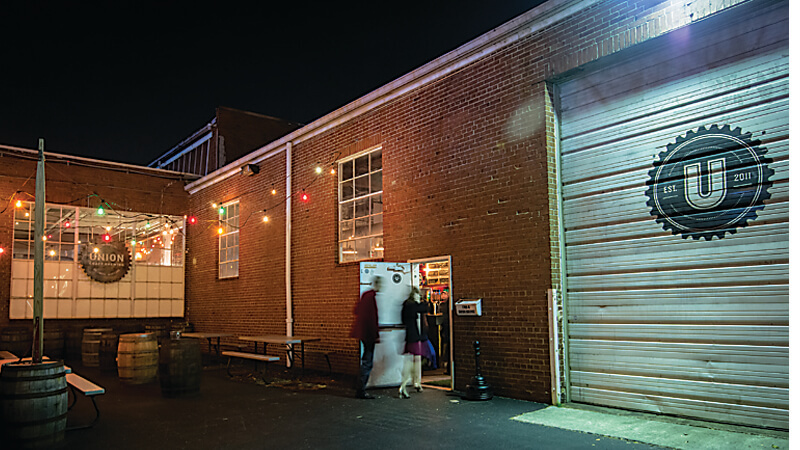 noon-9 p.m.
Tasting Room: Fri. 4 p.m.-midnight, Sat. noon-midnight, Sun. 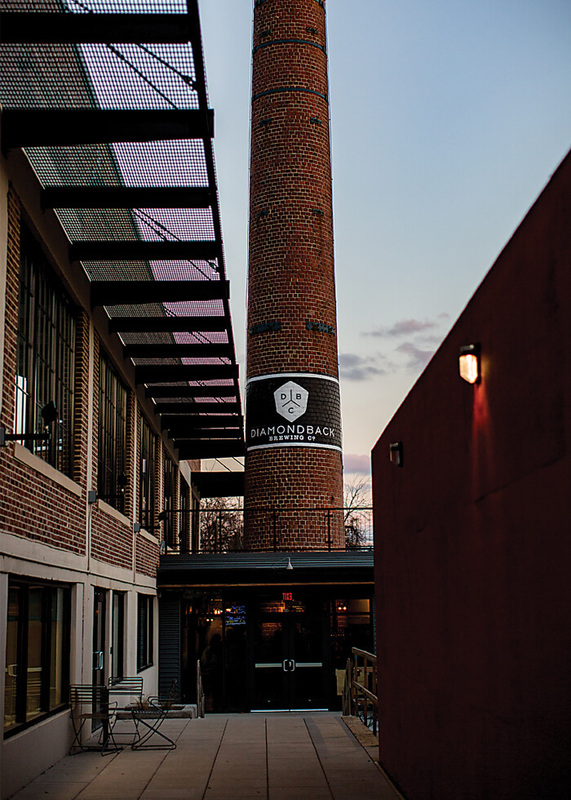 noon-6 p.m.
Diamondback Brewing Co.'s semicircular bar surrounds an original brick smokestack once used by Phillips Seafood; guests play cards on wooden barrels. Tasting Room: Mon.-Thu. 3-8 p.m., Fri.-Sun. noon-8 p.m. 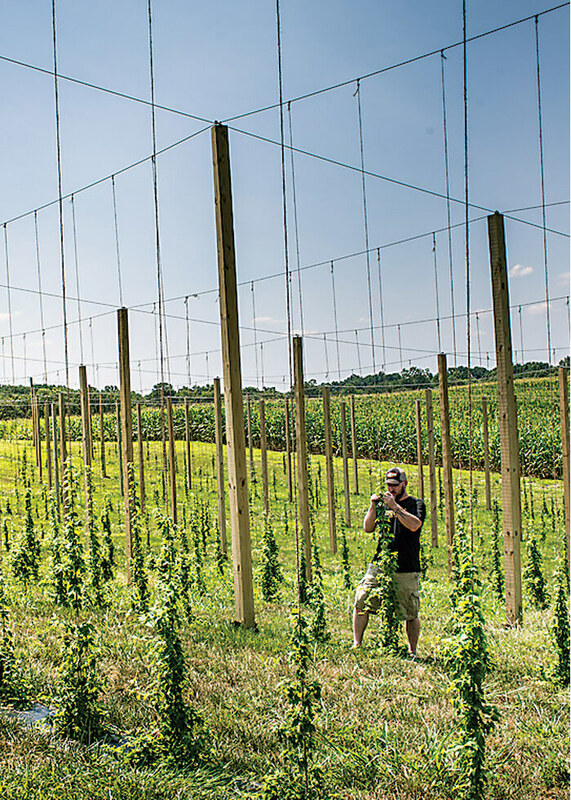 Craft beer isn’t just a boys’ club anymore. 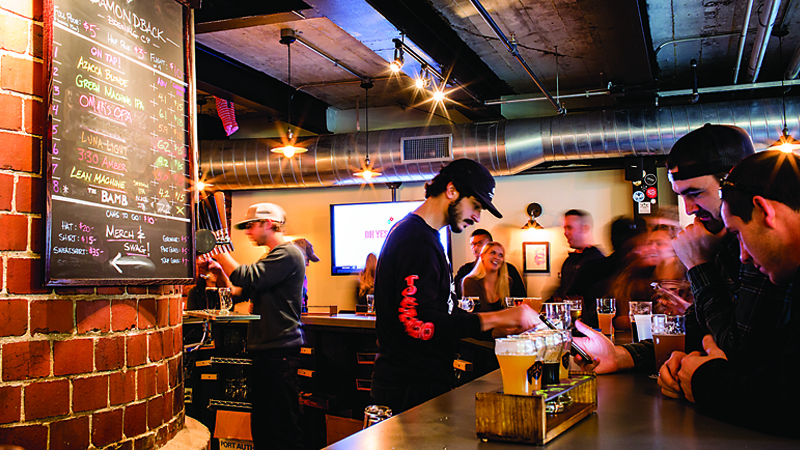 On a sunny afternoon in October, a group of 30 craft beer lovers crowds around the tiny back bar of Bertha’s in Fells Point. “Of course it did!” guest Suzanne Amsbaugh interjects from the back. The group he is speaking to is almost all women, who came to discuss their role in the craft beer industry. 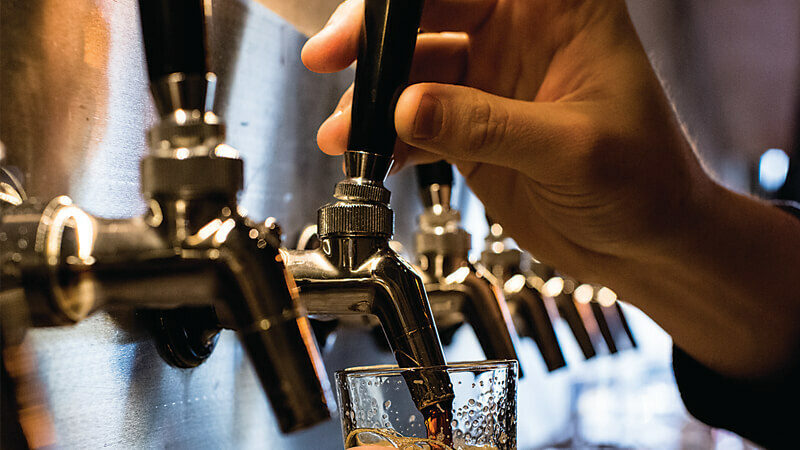 Home-brewers, production managers, and bartenders agree that, while there is still some distance to go, their place in the industry is more promising than ever. 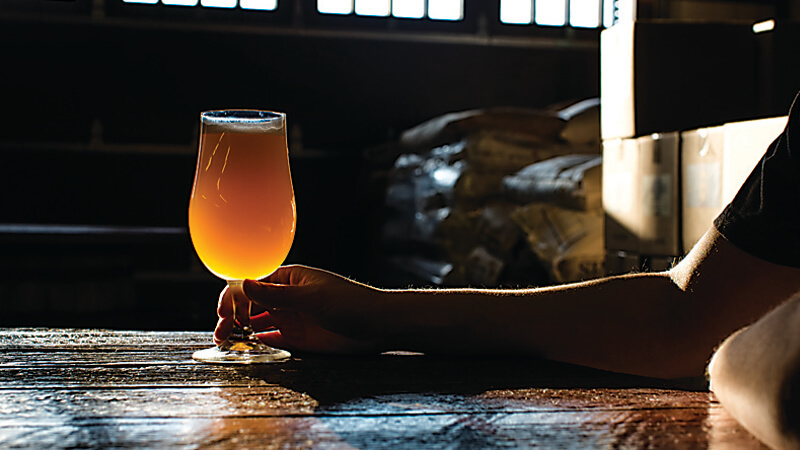 Though the numbers are changing—a recent survey found that out of 2,500 breweries, 21 percent had at least one woman in a top-tier role—the perception still exists that women working in the beer industry have an administrative role. 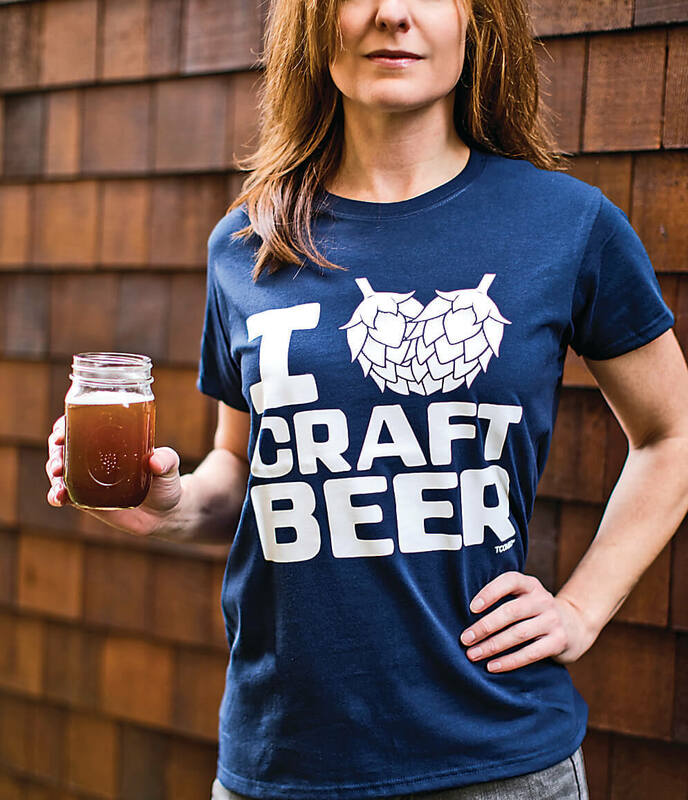 In fact, it’s young women, in particular, that will have a big impact on shaping the craft beer scene. 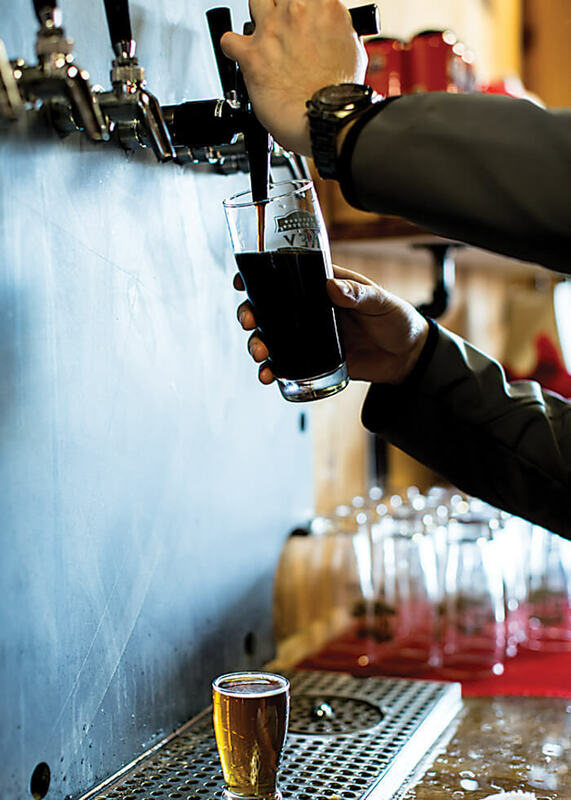 Data from the 2016 Craft Brewers Conference says that 26 percent of weekly beer drinkers are women and, even more telling, 51 percent are millennials. 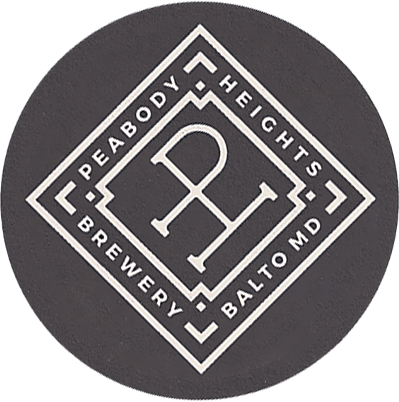 As this subset continues to grow, groups like the Pink Boots Society and, locally, Baltimore Beer Babes (BBB), are gaining traction. 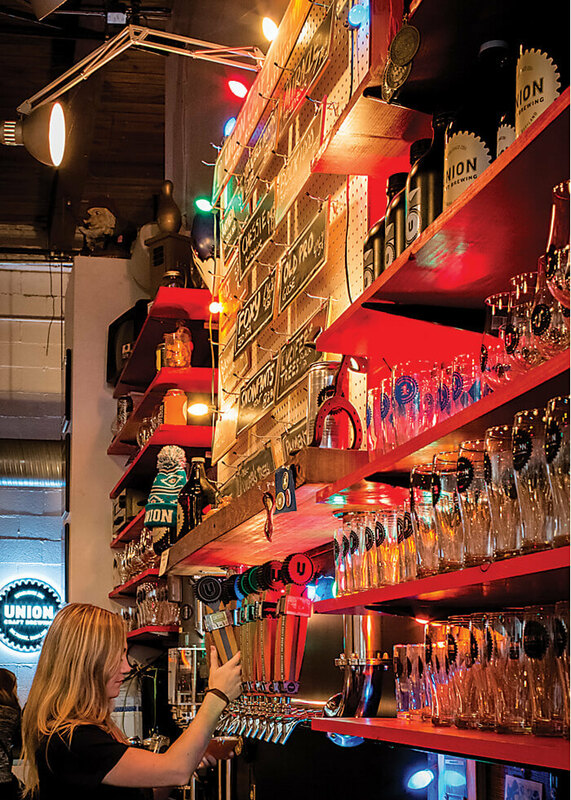 “Our goal was to see a girl amongst a group of guys tell them what they should drink for once,” says Judy Neff, who co-founded BBB as a beer appreciation club for women and is opening a brewery of her own, Checkerspot, later this year. Neff points out that while BBB attracts big crowds at its events, numbers aren’t everything. Pronobis from Union agrees that galvanizing the support from each other is key. Tasting Room: Wed.-Fri. 3-8 p.m., Sat. noon-8 p.m., Sun. 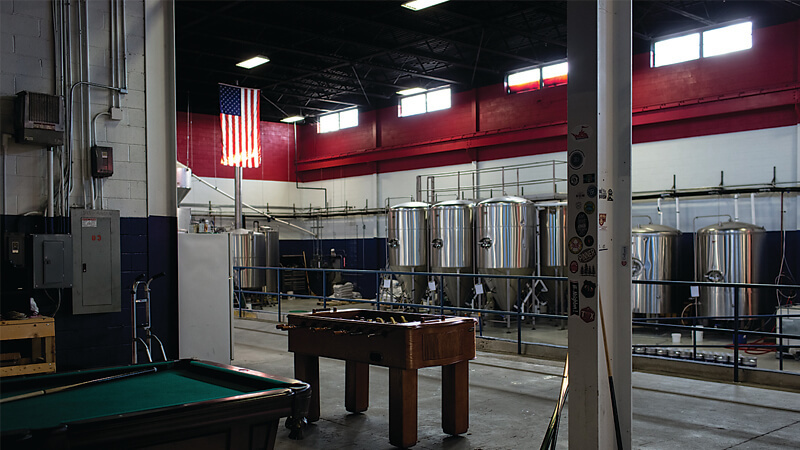 noon-6 p.m.
Tasting Room: Wed.-Fri. 3-10 p.m., Sat. noon-10 p.m., Sun. 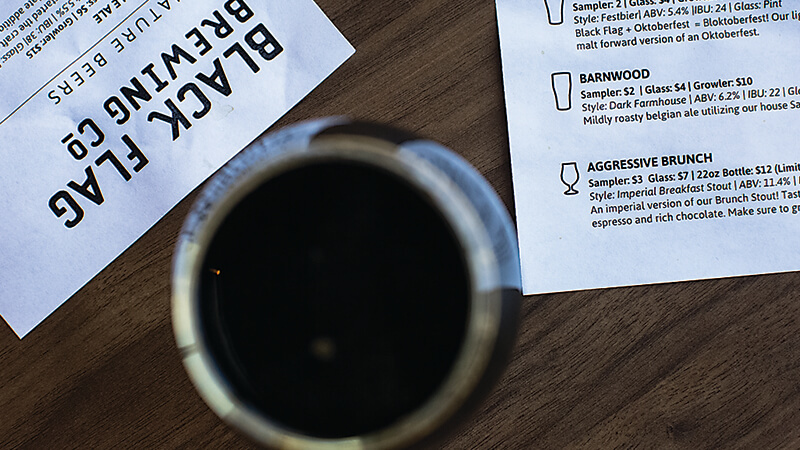 11 a.m.-5 p.m.
Tasting Room: Tue.-Thu. noon-10 p.m., Fri.-Sat. 11 a.m.-11 p.m., Sun. 11 a.m.-8 p.m. 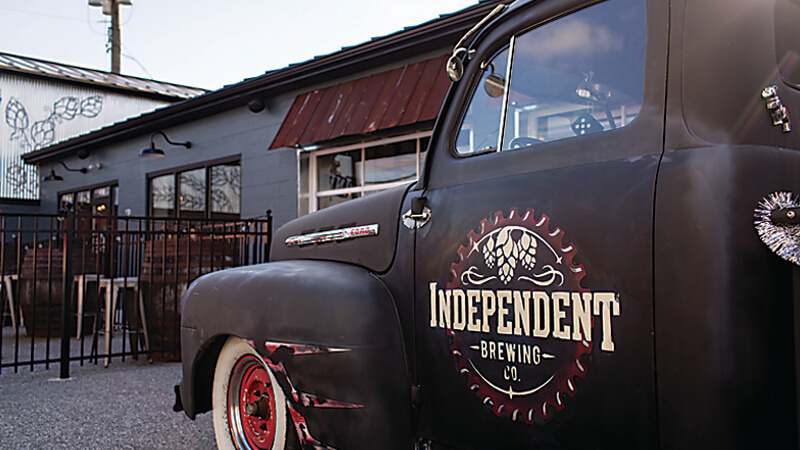 Independent Brewing Company in Bel Air reflects its name with colorful menus, Kitschy Décor, and a vintage pickup truck out front. For some of us, living in a gluten-laden world can be tough. We need a strategy to navigate restaurant menus, splitting a pizza with friends is generally impossible, and we can’t just enjoy an ice-cold beer. And, let's be honest, watching the game or spending a night out with friends isn’t the same when you can’t knock back a few cold ones. 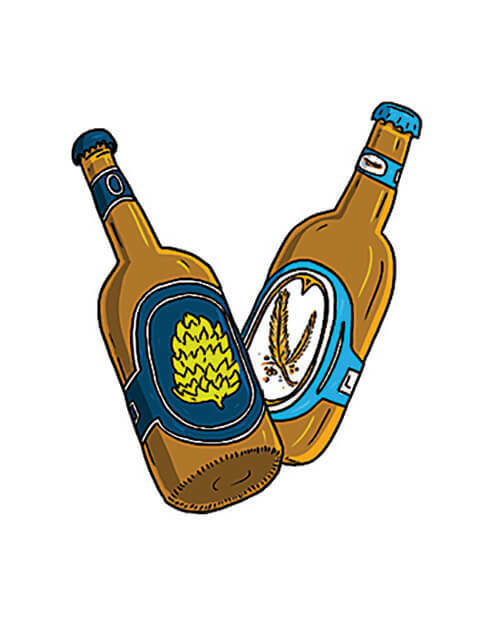 But take heart—we’ve gathered a few homegrown options for beer (or damn near close) that will allow you to indulge without that pesky wheat protein sneaking back into your diet. Tasting Room: Wed.-Fri. 3-10 p.m., Sat. 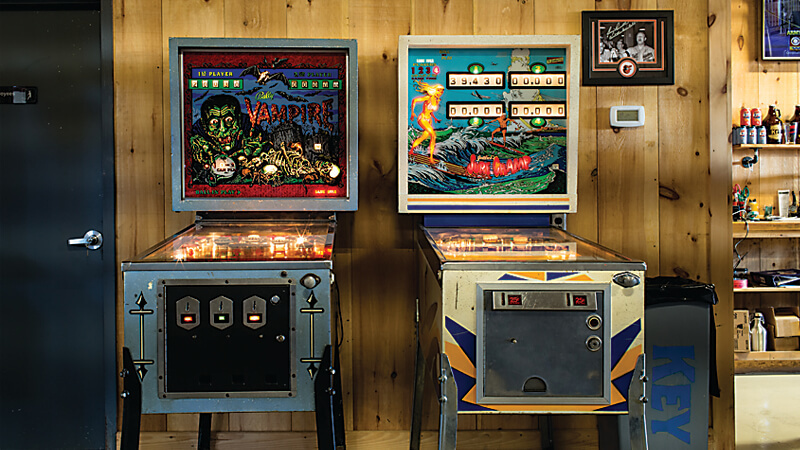 noon-10 p.m.
pool games and retro pinball at key brewing. Tasting Room: Fri. 4-8:30 p.m., Sat. 11 a.m.-8:30 p.m., Sun. 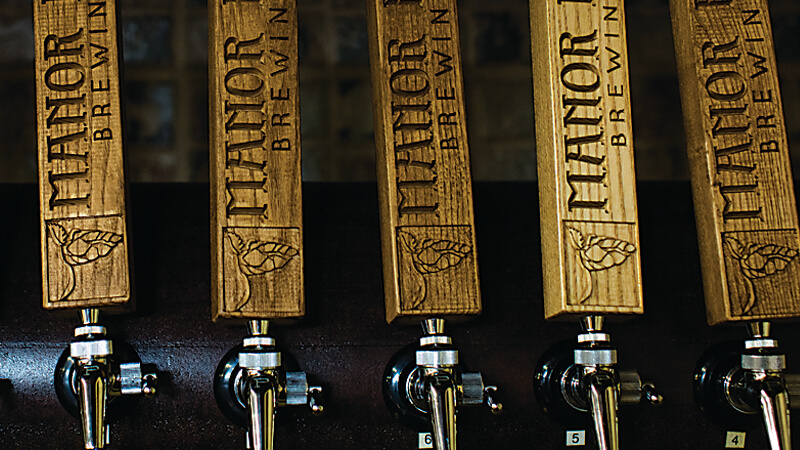 11 a.m.-6 p.m.
Manor Hill brewing in Ellicott City is authentically rustic with red barn siding, wine-barrel tables, wooden tap handles, and dozens of hop poles growing right outside. Tasting Room: Thu.-Fri. 4-8 p.m., Sat. noon-8 p.m., Sun. 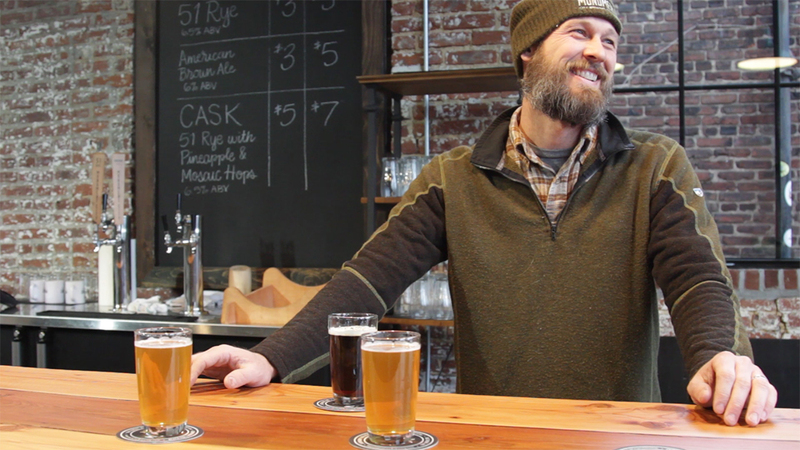 noon-6 p.m.
Tasting Room: Thu.-Fri. 5-8 p.m., Sat. 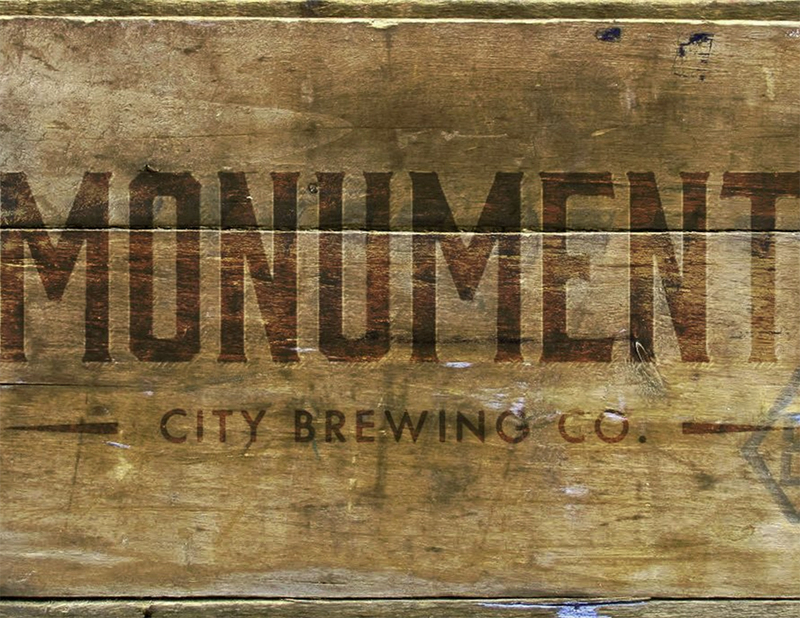 noon-5 p.m.
Brothers Ken and Matt Praay just recently opened the brand new taproom of Monument City in Highlandtown with wooden accents—like their tap handles and bar top—made by next door neighbor Mark Supik. 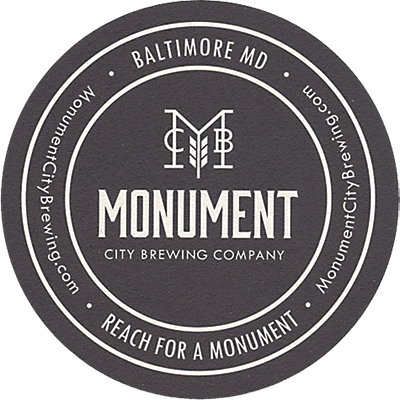 Journey to Open Monument City Brewing Company from Baltimore magazine on Vimeo. Tasting Room: Mon.-Sun. 11-2 a.m.
Hops Flowers used as a preservative in beer—giving off bitter, zesty, or citric flavors. 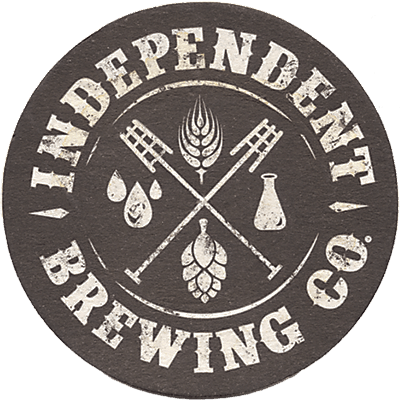 IPA vs. pale ale Pale ale is one of the world’s most popular beer styles, made by gently roasting the barley and using pale malt. 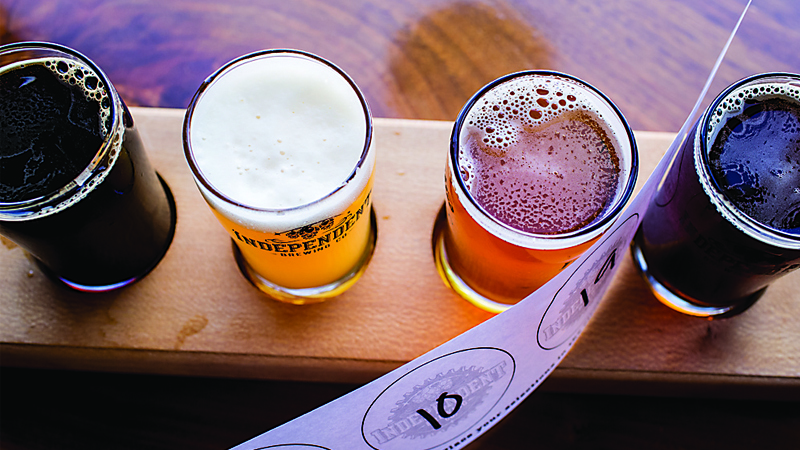 An India Pale Ale (IPA) has more hops and higher bitterness. 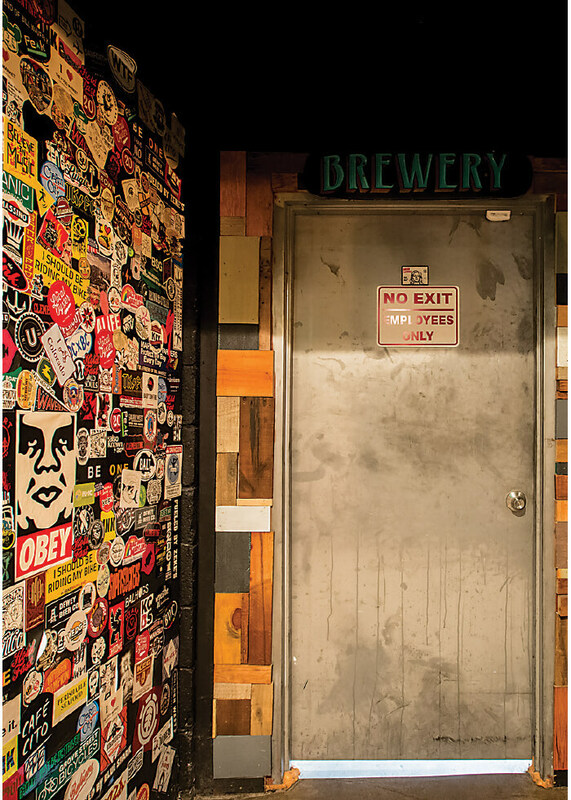 Craft beer A craft brewery produces less than 6 million barrels of beer annually. 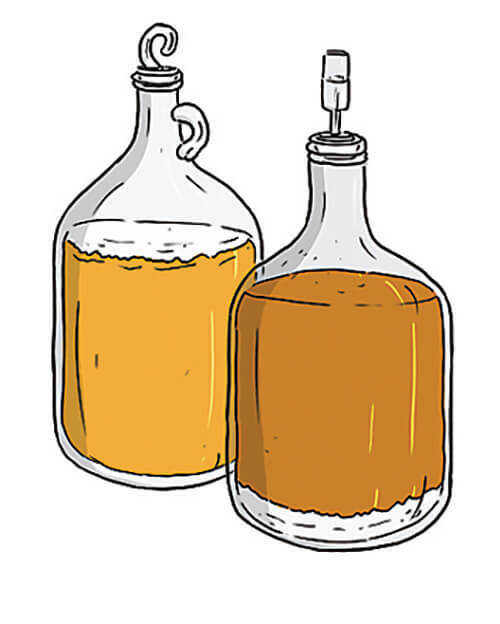 Ale vs. lager Ales are brewed with top-fermenting yeast at midrange room temperatures, resulting in a fruitier and spicier flavor. 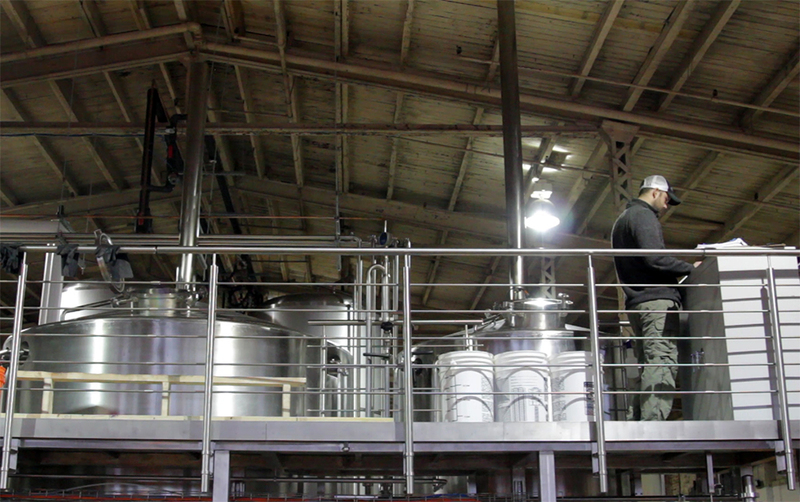 Lagers are made with bottom-fermenting yeast at cooler temperatures, resulting in a crisper quality. 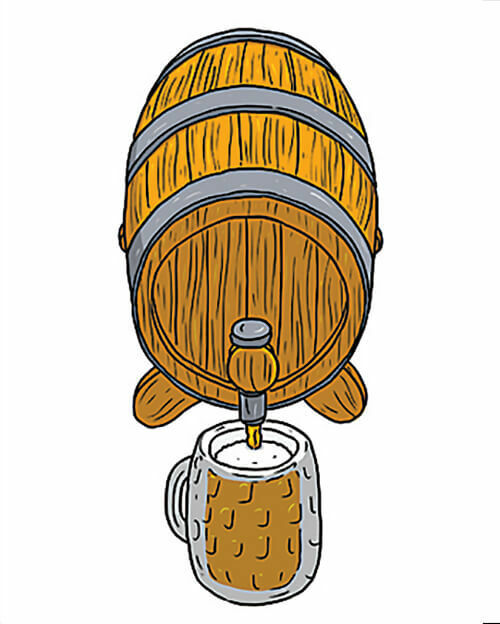 Session A beer with low alcohol by volume (ABV), hence you can have many in one session. 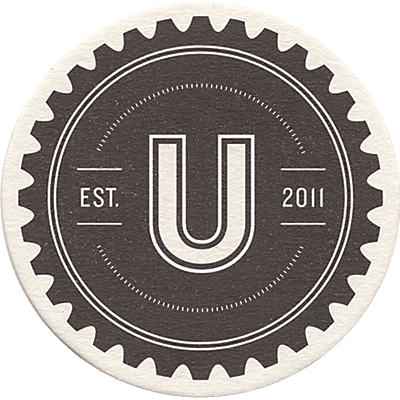 Cask Unfiltered and unpasteurized beer without nitrogen or carbon dioxide pressure added, with naturally lower carbonation levels (or “fizz”). Tasting Room: Sat. 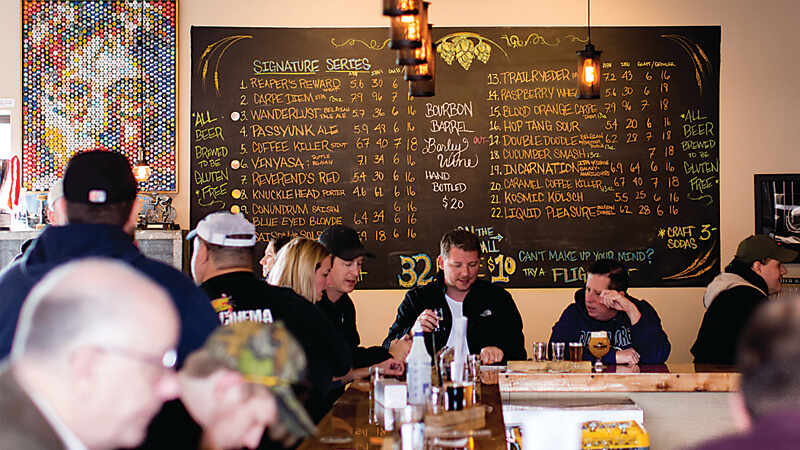 noon-4 p.m.
Tasting Room: Wed. and Fri. 5-9 p.m., Sat. 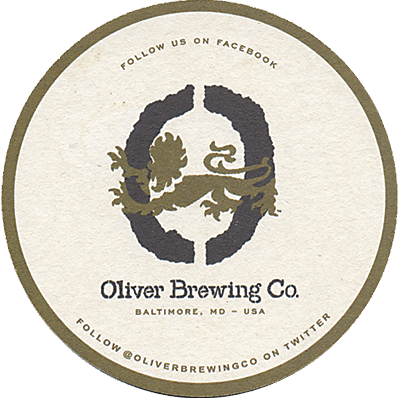 11 a.m.-4 p.m.
Tasting Room: Sun.-Thu. noon-midnight, Fri.-Sat. 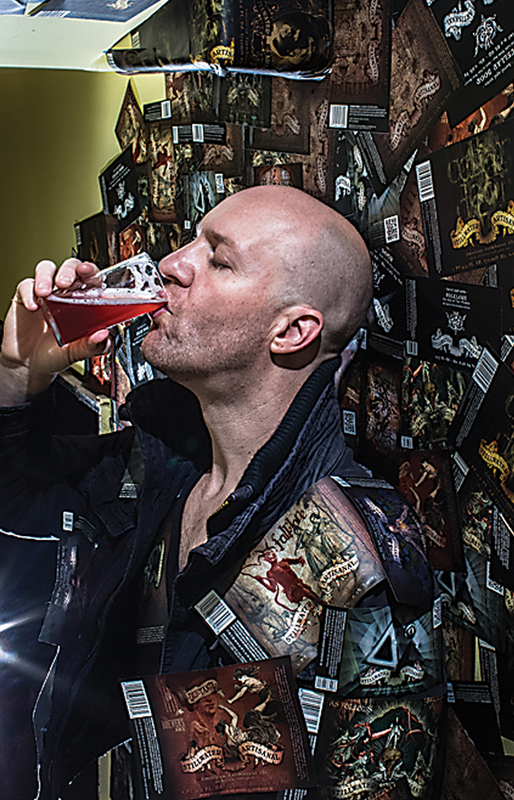 noon-2 a.m.
About two years ago, he started “diversifying to the extremes,” using his life as a muse for both his beer and labels. Take Strumke’s 2015 Contemporary Works series, inspired by minimalism, Dadaism, and Strumke’s time as a techno DJ. 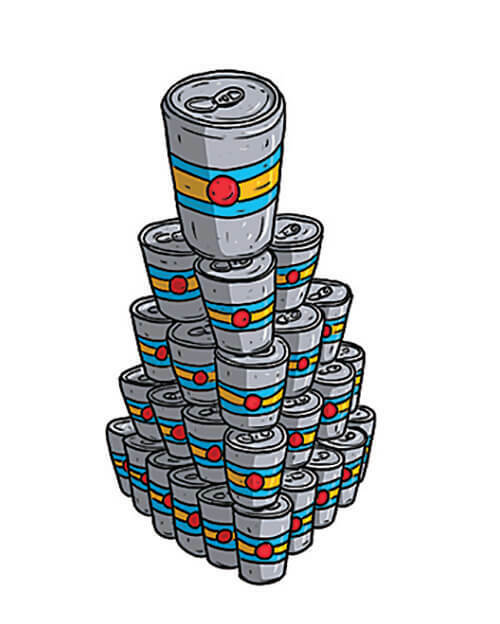 Or his 2016 #popculture series, which served as flavor odes to hip-hop icons Drake, Kendrick Lamar, and Kanye West (who served the brewer a cease-and-desist order). 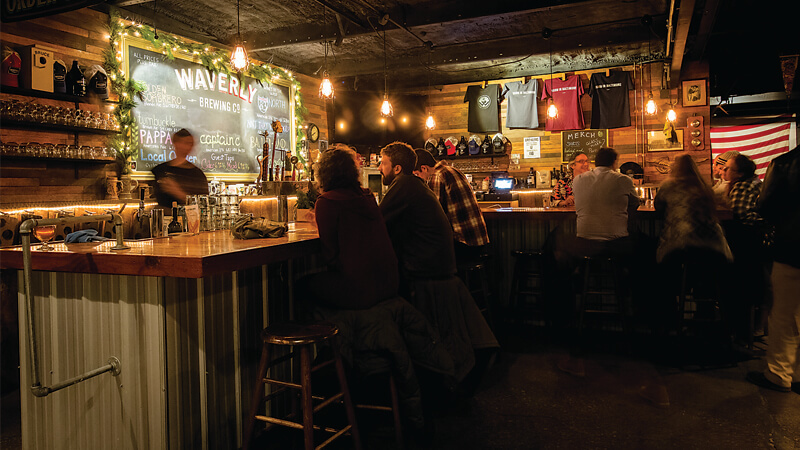 But throughout every release, Strumke keeps Stillwater in a constant state of evolution—a sort of mad-science art project—using an unexpected mix of ingredients and changing its brand design from beer to beer. 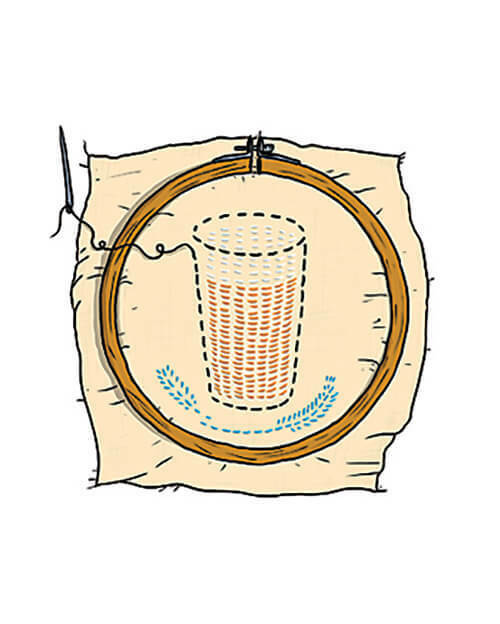 Most bartenders tend to be nomads—updating their résumés once every few months. Not so at the beer mecca of Max’s Taphouse. 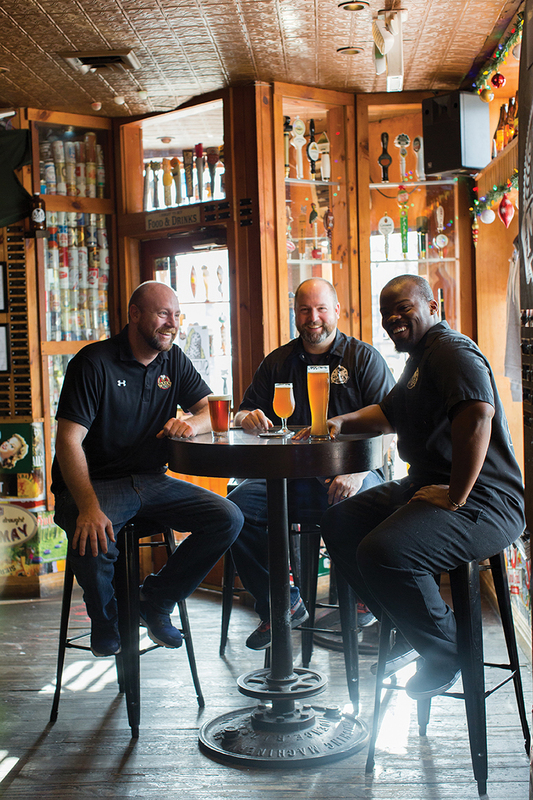 “I’ve been working here 18 years and I’m not even the longest one,” laughs general manager Casey Hard, who worked his way up from door guy to cellar man and still does all the research and beer buying for the Fells Point corner bar. 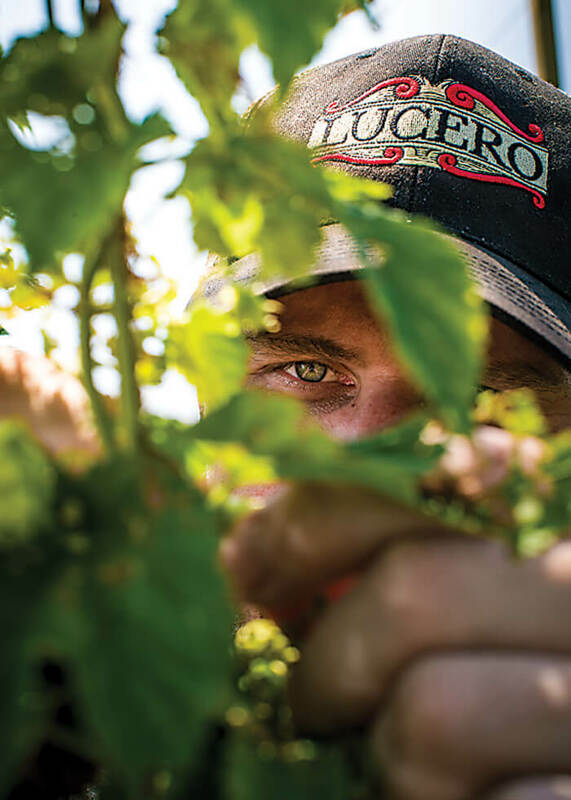 “We are like family here,” he says quite literally, since he works with his brother, Jason. Everyone remembers their first. Joanne Barker’s was a Dogfish Head 120 Minute IPA, which left her feeling “a little loopy.” That happiest hour was back in 2007, when Barker was a regular Miller Lite drinker. 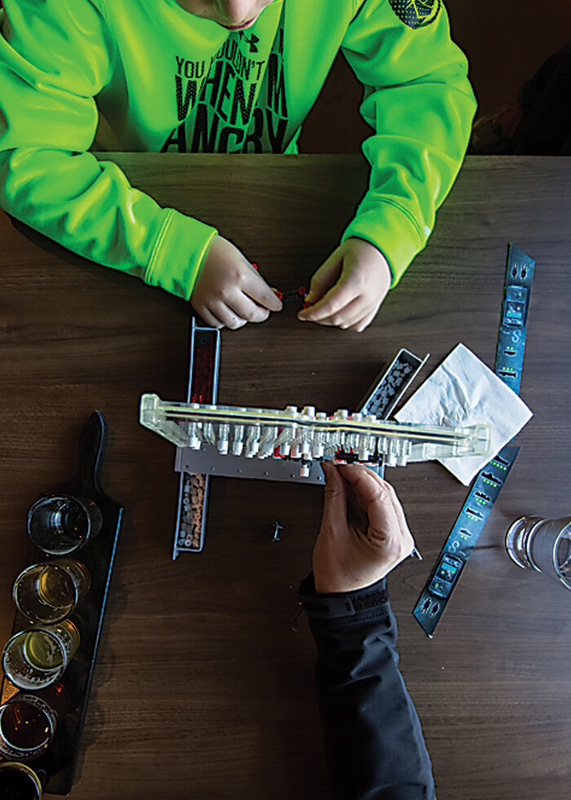 Now, more than 5,000 lagers, ales, and pilsners later, the Canton resident is the undisputed leader—by many a swig—at Mahaffey’s Beer Club, where 4,000 members are on a never-ending quest to try every beer the pub can acquire. 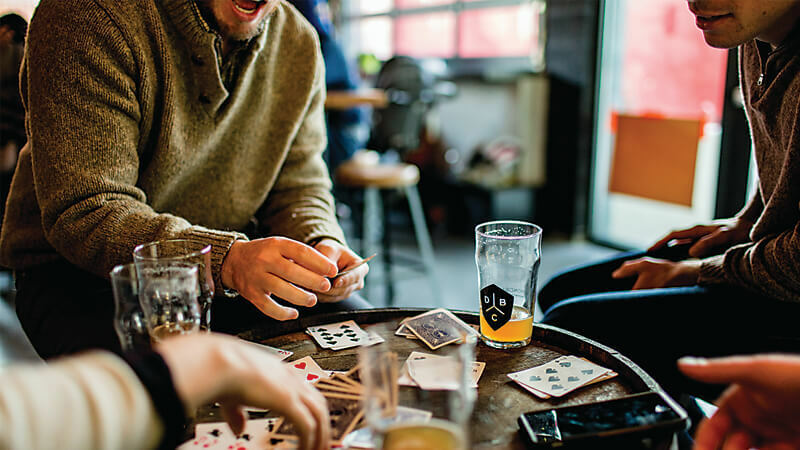 Barker is at the bar five or six days a week (truth be told, sometimes seven), sipping a pint, playing her lucky Keno numbers, and greeting regulars, who treasure her for her warmth and wit, with a kiss on the cheek. 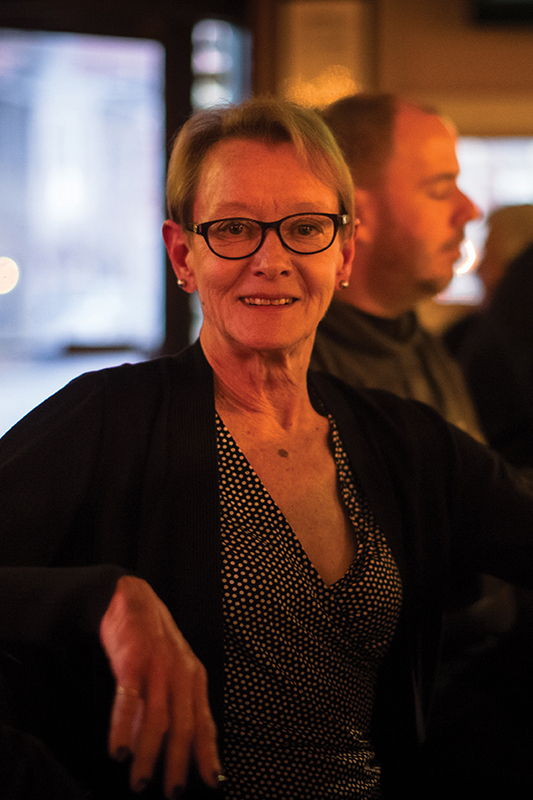 “It’s a family atmosphere,” she says of her beloved bar. “It’s young people and old, but everybody gets along and watches after one another.” The place wouldn’t be the same if she left. Luckily, she’s having another. When you think of a Resurrection from The Brewer’s Art, a plate full of its famed garlic-rosemary fries instantly comes to mind. 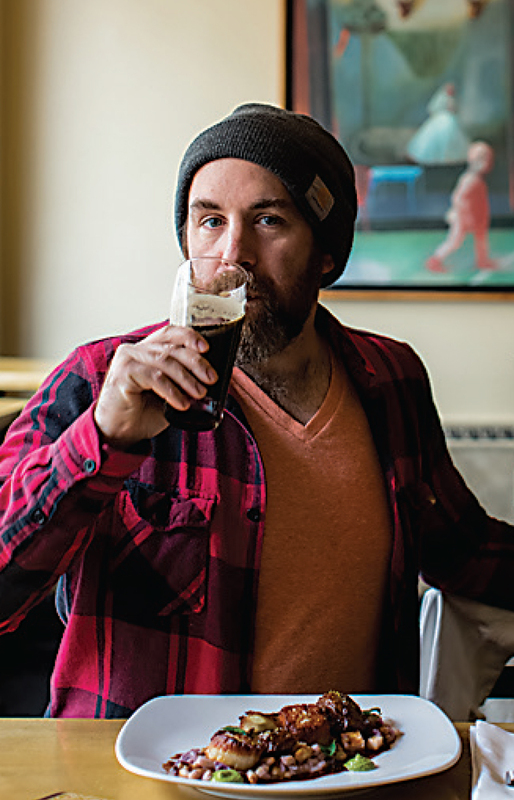 But dig deeper and you’ll discover that chef Andrew Weinzirl incorporates beer or a beer ingredient into about 75 percent of his menu items. 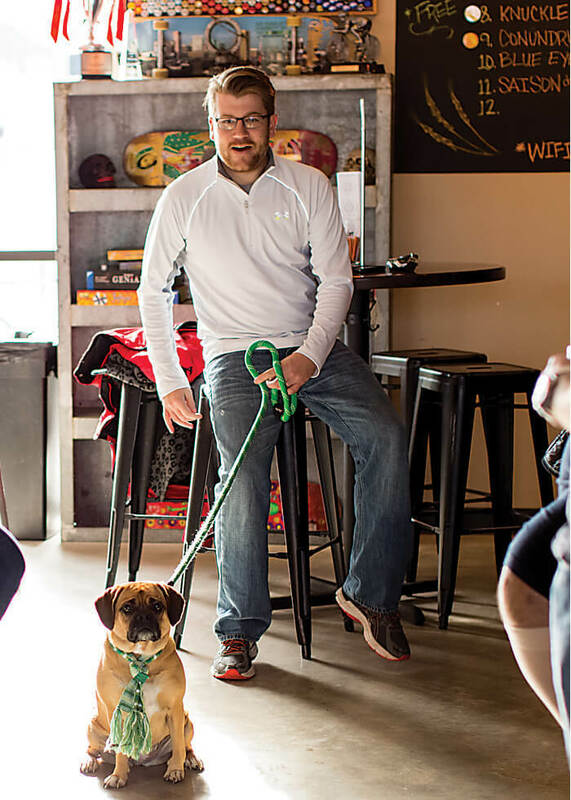 “It would be 100 percent, but we are cognizant of people with gluten issues,” he says. The butter served with your bread is whipped with a Resurrection reduction, a pork chop last fall was brined with St. Festivus ale, and sauces are regularly flavored with house beer in lieu of caramelized sugar. 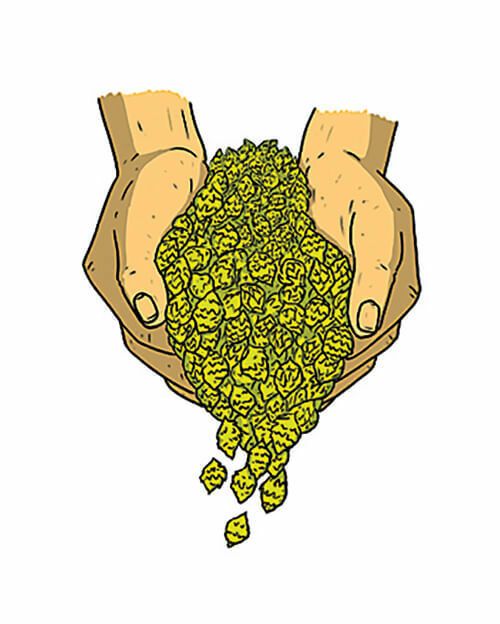 Then there’s a hop salt, which he uses similarly to an herb—sometimes to add citrus flavors, other times to add notes of pine. 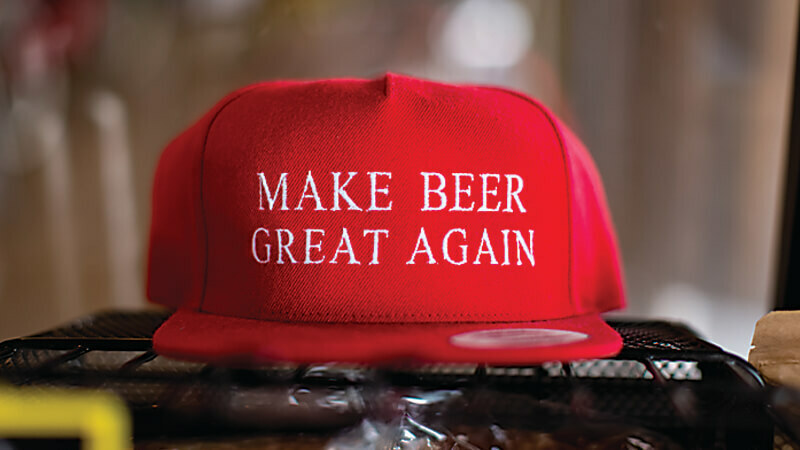 Asked how he keeps things from getting too bitter, he says, “Oh, sometimes I’ll just use the wort before they add the hops, which is easy since the brewery is right behind the kitchen." Doesn't get much more locally sourced than that. 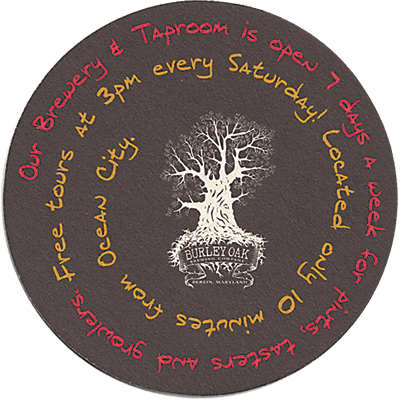 Tasting Room: Thu.-Fri. 5-10 p.m., Sat.-Sun. 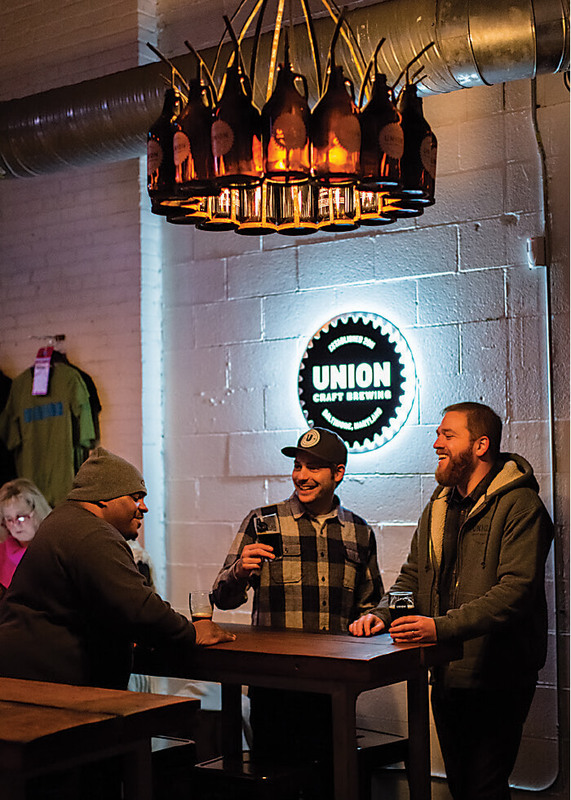 noon-5 p.m.
Union Craft Brewing has a decidedly homey feel, with a taproom where woodberry neighbors meet for a cold one beneath growler-decorated light Fixtures. Tasting Room: Mon. 5-10 p.m., Wed.-Thu. 4-10 p.m., Fri. 4 p.m.-midnight, Sat. noon-midnight, Sun. noon-7 p.m. 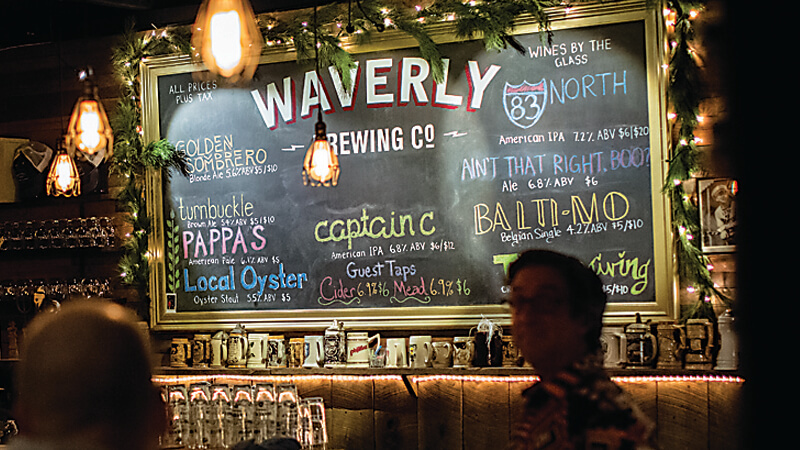 The taproom at Waverly brewing Co. in Woodberry is a hodgepodge of vintage memorabilia, agricultural and rustic touches, and a punk rock vibe of pinups and old stickers.